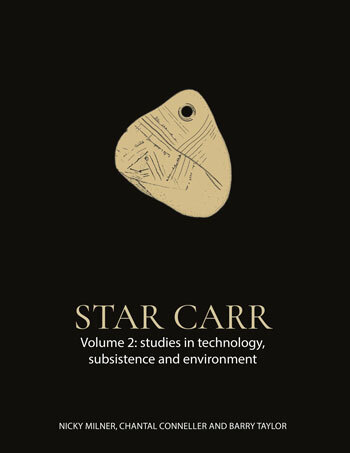 This second volume of Star Carr provides detail on specific areas of research around the Star Carr site, one of the most important Mesolithic sites in Europe. Discovered in the late 1940s by John Moore and then excavated by Grahame Clark from 1949-1951, the site is famous in the archaeological world for its wealth of rare organic remains including significant wooden artefacts. The 2003-2015 excavations directed by Conneller, Milner and Taylor explored how the site was used. In use for around 800 years, the Star Carr site is much larger and more complex than ever imagined. This volume looks in detail at focused areas of research, including: wooden artefacts; antler headdresses; structures; environmental and climate change data; plant and animal remains found at the site; and sediment data. While volume 2 provides detail on specific areas of research, volume 1 of Star Carr offers a broader interpretation of the site and how it was used.